A quick view of the most influential metrics in Merrick. Merrick is a medium-sized coastal hamlet and CDP in the town of Hempstead located in Nassau County, New York. The hamlet is known for being a solid, stable, family-friendly community. This is due in part to the wonderful local schools, high rates of home-ownership and overall low crime rates. It is a nautical community that embraces its rich heritage and offers a variety of waterfront activities from clam digging to swimming and long walks on the beach. Another perk to this waterfront community is the endless beautiful views of rolling waves, sand beaches, and rugged shorelines. It is a white-collar community, where nearly 90% of the local workforce hold/have white-collar positions and professions. It is a wealthy community in relation to economics and education. The community is wealthy in relation to both state and national economic standards and over 58% of adults in Merrick hold four-year degrees or more. It is a diverse community both ethnically and racially, but English remains the primary language. The area was originally inhabited by indigenous tribes and it is from their language that the town name comes. Merrick comes from the Algonquin word Meroke, which means peaceful. The first settlers were Puritans from England who arrived in 1643. Jones Inlet and the channels that connect with it made Merrick a trading hub throughout the colonial era. During the early part of the 1800s, especially during the War of 1812, the coves, channels, and canals made it the perfect place for pirates to prey upon merchant ships. Merrick became an annual meeting place for Methodists around 1860. These camp-meetings lasted about ten days and drew worshippers from all over the state. A new era of development, brought on by the arrival of the railroad, began in the late 1800s. Then, after WWII there was another construction/housing and population boom. These two periods of growth and development shaped the community we see today. Today the community spans 5.2 square miles. In 2010, the population was 22,097, the population density was 4,200 people per square mile and the per capita income was $54,064. By 2013, the estimated median household income was $133,582 and the estimated per capita income was $55,245. Also, in 2013, the estimated median house or condo value in Merrick was $497,875, the mean housing price on all units was $521,906 and the median gross rent was $1,994. Much of the community's workforce is employed outside the community and commuting is a necessity. The average commute time for residents of Merrick is approximately 34 minutes. The community does have public transportation and is served by the Merrick Station of the LIRR. Public education in Merrick is provided by the schools of three districts, the Merrick Union Free School District, North Merrick Union Free School District and Bellmore-Merrick Central High School District. Schools in Merrick include Merrick Avenue Middle School, Birch School, Chatterton School, Old Mill Road School and others. The community remains primarily residential and the majority of available housing is traditional single family homes for sale. Other real estate options are rarer, but include apartments, condominiums, and townhomes. 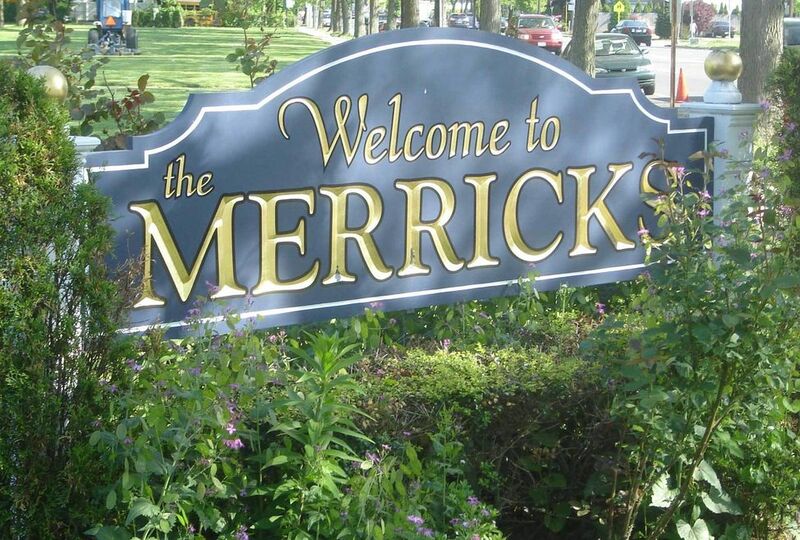 To find the home of your dreams you need only look to the community of Merrick. To begin your home search, call local real estate agent Edward McNulty at (516) 887-3603. View our selection of available properties in the Merrick area. Check out the latest demographic information available for Merrick. Learn more about schools near Merrick complete with ratings and contact information. Browse through the top rated businesses in the most popular categories Merrick has to offer.